The University of Florida and Soi Dog Foundation have teamed up to elevate the care of stray dogs and cats in animal shelters in Thailand. Soi Dog Foundation, the largest animal welfare charity in Southeast Asia, operates a state-of-the-art veterinary hospital for the treatment of stray animals in Thailand. The hospital treats up to 150 inpatients every day. Unfortunately, many patients present with broken bones resulting from vehicular accidents. At most limited-resourced shelters, such injuries mean limb amputation or even worse, euthanasia. Soi Dog Foundation is trying to change that to give animals with broken limbs a chance at walking again. 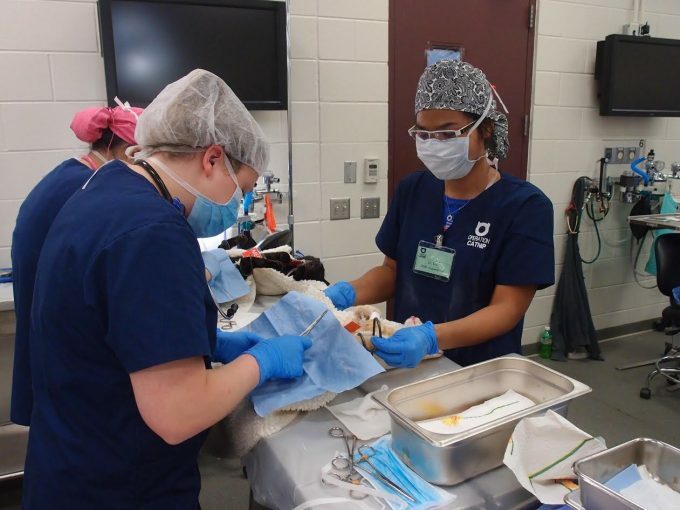 Last November, Dr. Eed Jung, a Thai veterinarian working at Soi Dog Foundation, travelled to the University of Florida where she competed an orthopedic surgery rotation to improve her orthopedic skills. She also toured animal shelters in Alachua County and Miami, and participated in an Operation Catnip clinic. 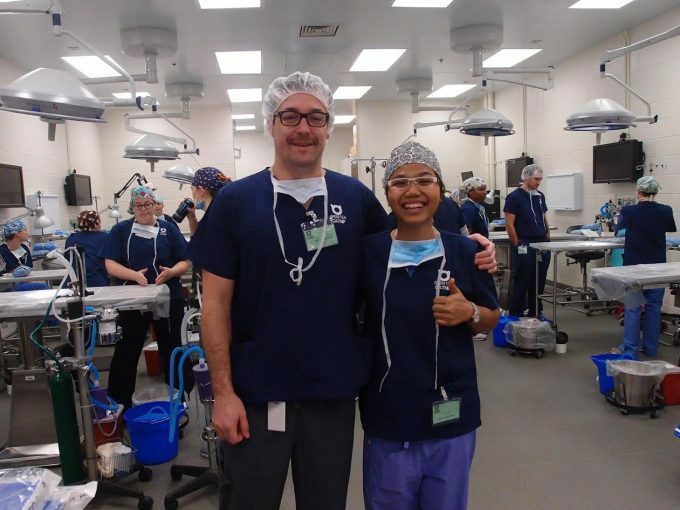 Returning the favor, Soi Dog Foundation recently hosted UF’s small animal surgery resident Dr. Selena Tinga, who worked tirelessly to deliver lectures to a diverse staff and provide extensive hands-on surgical training. 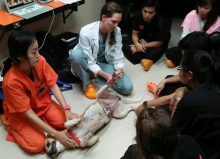 Through this ongoing partnership, we hope to train additional Thai veterinarians to provide top-notch surgical services to the patients who need them most.